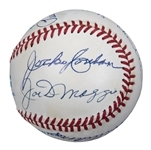 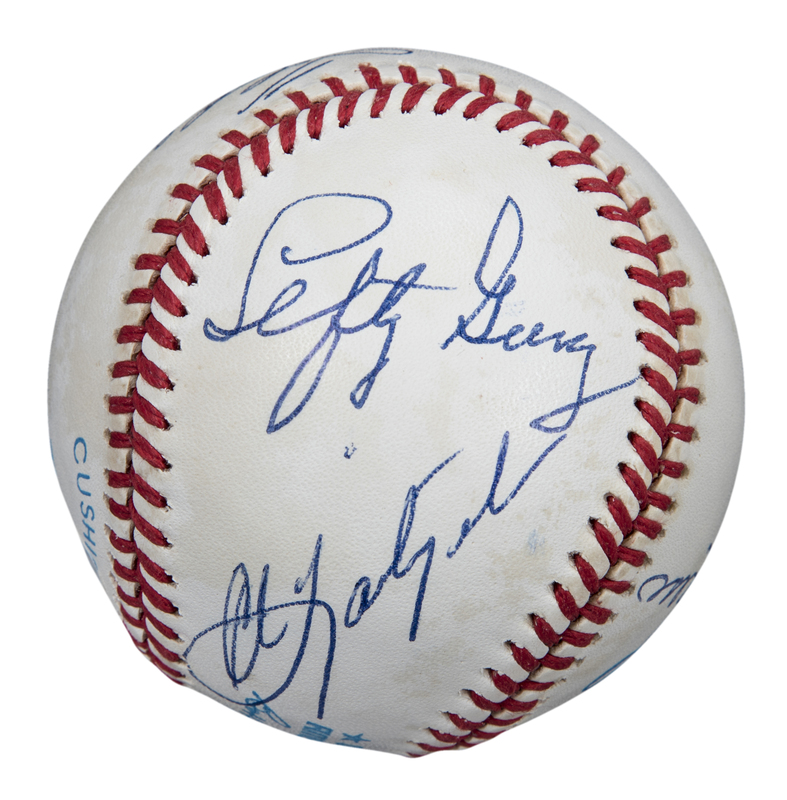 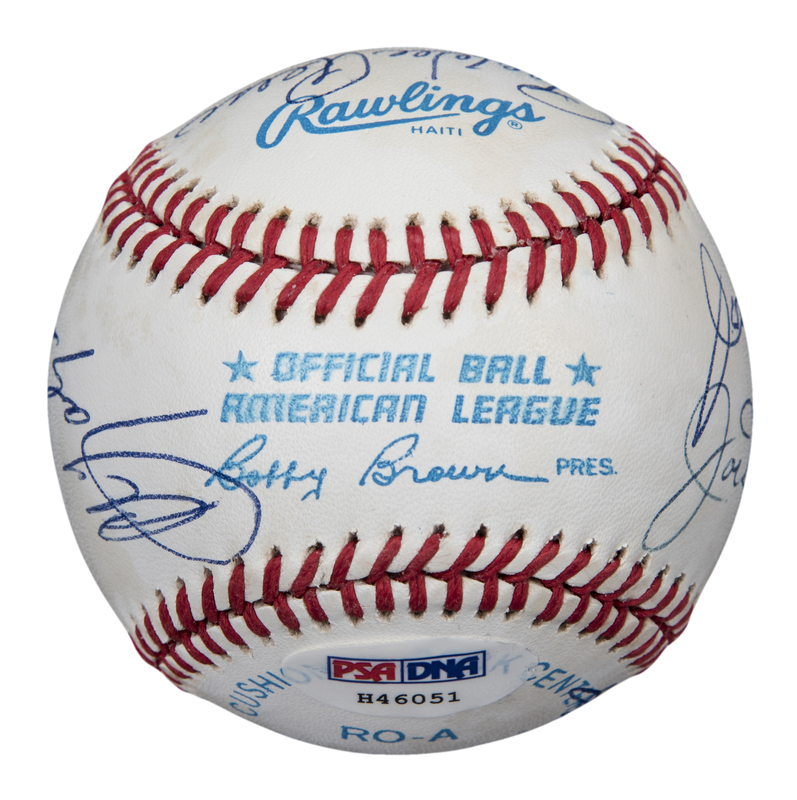 This Official American League Bobby Brown baseball has been signed by seven members of the National Baseball Hall of Fame. 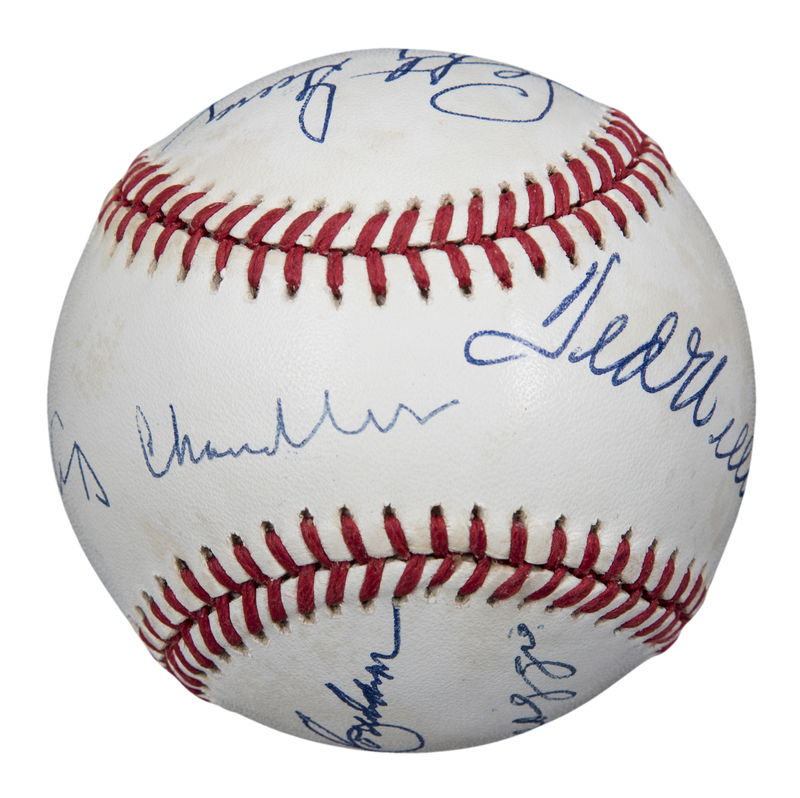 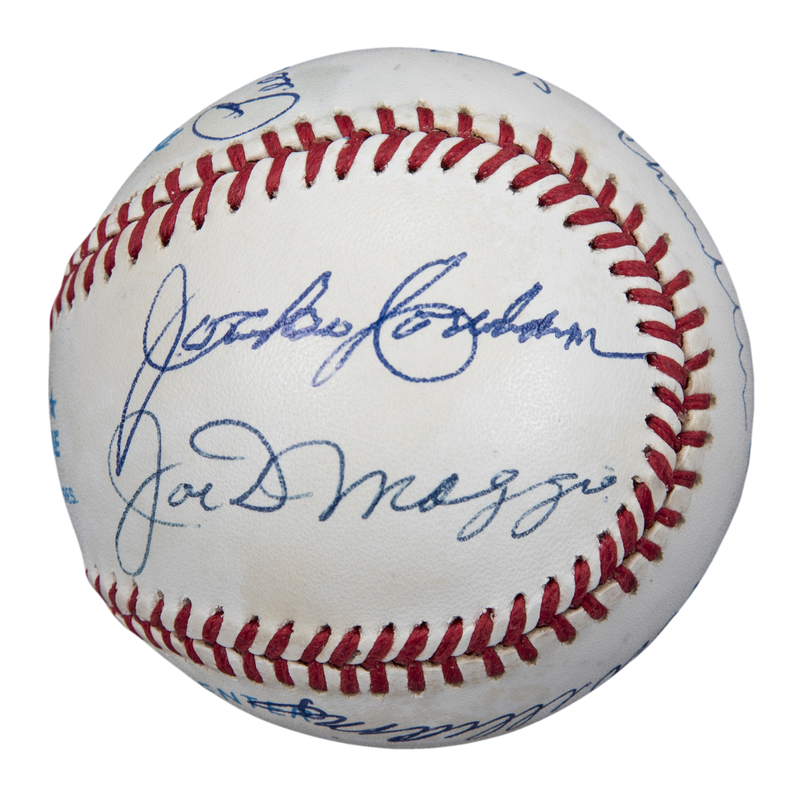 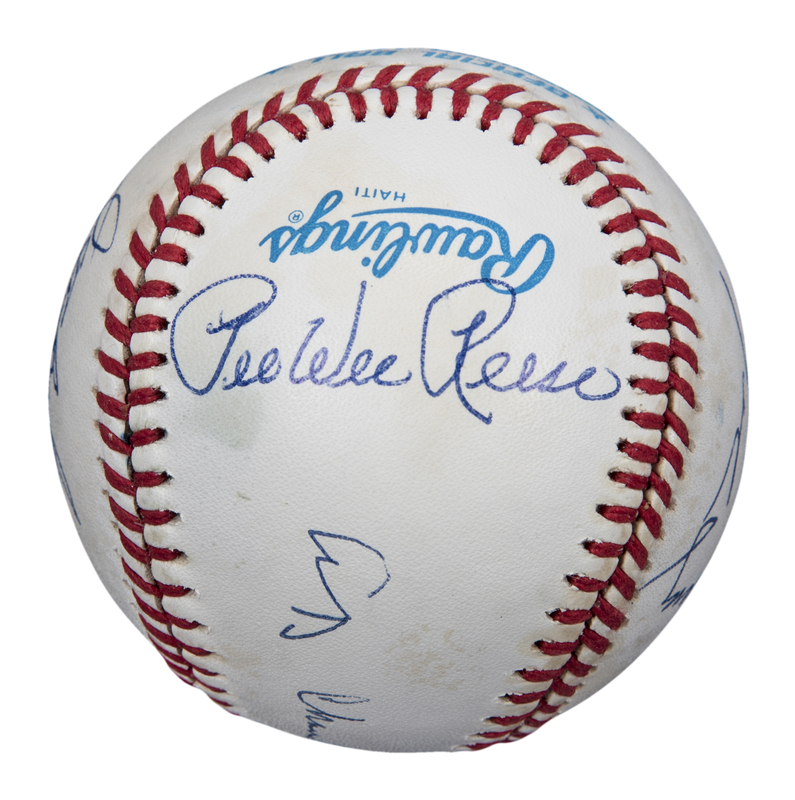 The signatures of Happy Chandler and Ted Williams are both partially located on the sweet spot, while other signatures include Pee Wee Reese on the west panel, Lefty Gomez and Carl Yastrzemski on the north panel, and Jocko Conlan and Joe DiMaggio on the south panel. 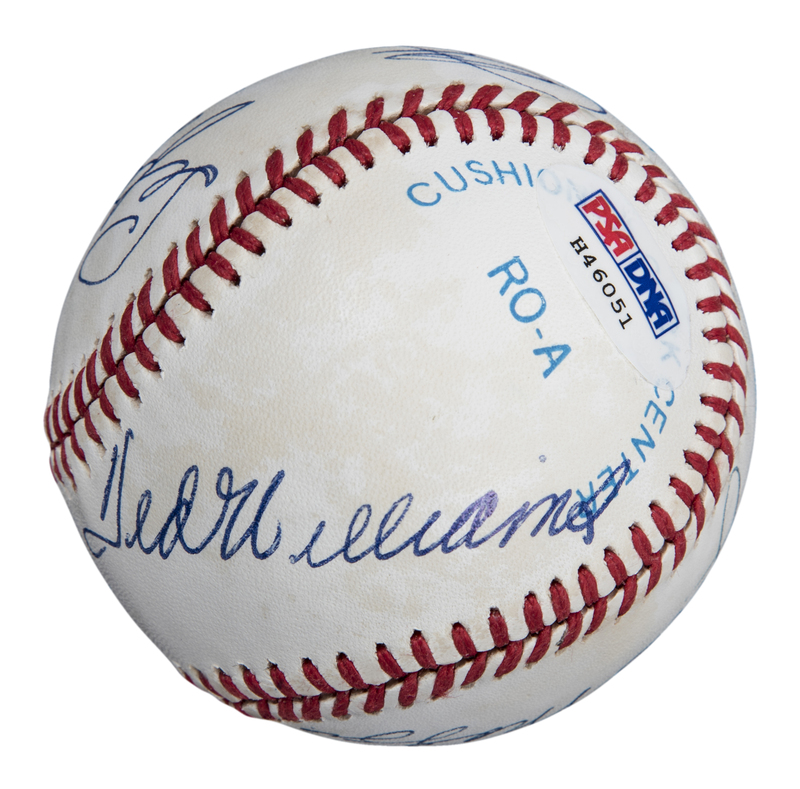 The signatures have been written in crisp blue pen. 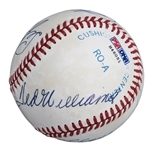 This baseball comes with a STICKER ONLY from PSA/DNA (H46051).